The Handheld Mobi Maestro can improve customer service by enabling your servers to stay on the floor where they’re needed and allow them to focus on serving customers, rather than running back and forth. 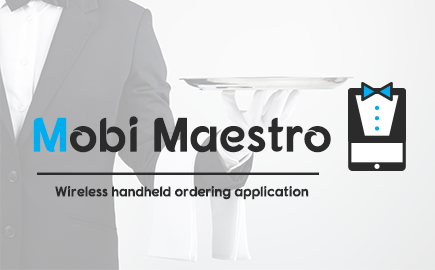 Since the entire staff restaurant (such as Director - Accountant - Cashier and Chef Captains) share work on Mobi Maestro therefore had to be a security system at a high level of accuracy where we can customize if users can print, pay, make discount and free dish or order. With just few details you would be able to connect wirelessly to server where application get and store data. Table’s layout show you tables state, that so you can have the perfect vision of hall what will help you to lead it easily. With simple menu display you can easily shift through menu section and chose items all that within few seconds well you are talking to client and taking them order. With Mobi Maestro you can open and close tables without any need to back to desktop POS, you can print bill, make discount or make free order and pay order to close table.